Charming Country Farmhouse located in the beautiful Reedley Countryside! Home has been totally renovated, and almost everything is new. The moment you walk through the front door, you will be greeted by the beautiful original staircase, and the open layout of the living, dining and kitchen areas. One bedroom is located downstairs. The Kitchen comes equipped with stainless steel appliances, farmhouse sink, granite counter, large island, custom cabinets, pendant lights above the island, and recessed lighting. In the Living room you will find a warm and inviting gas fireplace with built in wiring and hook ups for your all your entertainment equipment. Upstairs are 3 bedrooms, laundry area, a master suite, walk in closet, and master bath with beautiful tiled walk in shower and a main bath. Included with the property is a detached 2 car garage w extra storage. 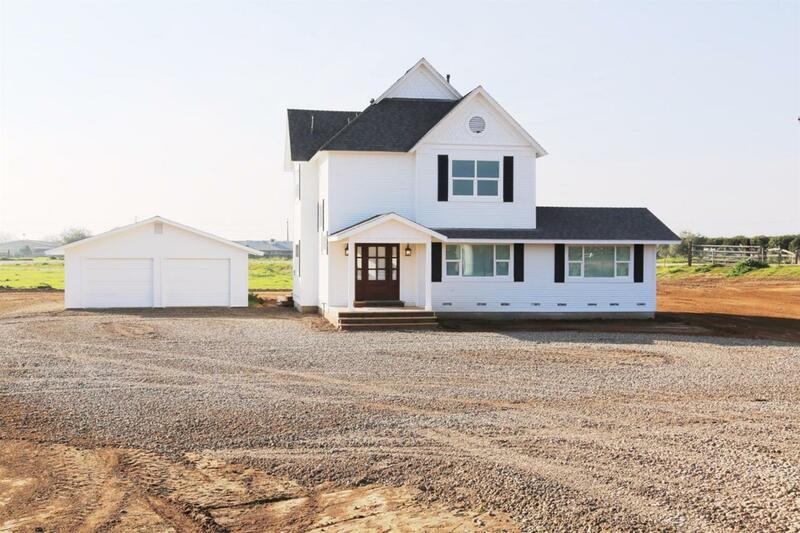 Property is just over three quarters of an acre, and has a brand new well, and septic system. This home is a must see! Listing provided courtesy of Cheryl Holub of London Properties-Kingsburg.